Machinefabriek is the alias of Rutger Zuydervelt. 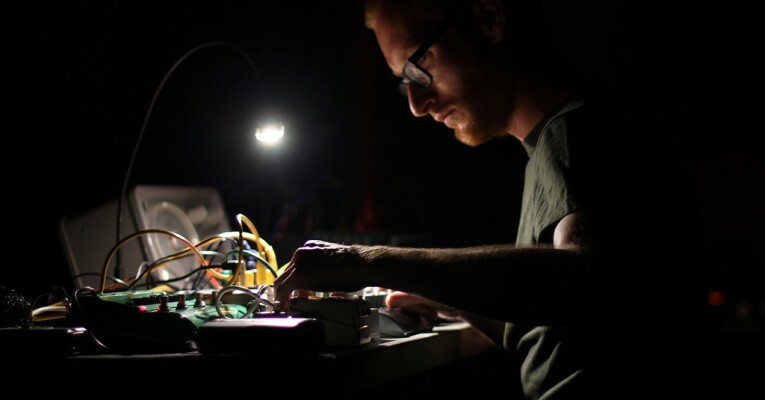 Rutger’s music combines elements of ambient, noise, minimalism, drone, field recordings and electro-acoustic experiments. His pieces can be heard as an attempt to create sonic environments for the listener to dwell in. Finding tension in texture, tone and timing, the result can be very minimalistic at first glance, but reveals itself upon closer listening. The devil is in the details. Rutger was born in 1978 in Apeldoorn (The Netherlands) and now resides in Rotterdam. He started recording as Machinefabriek in 2004. After a series of self released cd-rs, his official debut Marijn was issued in 2006, with great critical acclaim. Since then a solid stream of music was released on labels such as Type, Important, Home Normal, 12K, Entr’acte, Dekorder, Digitalis, Experimedia and Staalplaat. He performed all over the globe, from Canada to Israel and from Russia to Japan. Rutger collaborated (on record and/or live) with numerous artists, such as Steinbrüchel, Jaap Blonk, Aaron Martin, Peter Broderick, Frans de Waard, Simon Nabatov, Mats Gustafsson, Steve Roden, Gareth Davis, Stephen Vitiello, Michel Banabila, Tim Catlin and Dead Neanderthals, amongst many others.